GUI Tricks - In Touch With Tomorrow! GUI Tricks - In Touch With Tomorrow! Search engine optimization is the key that can help boosts your site’s traffic and rankings. Without it, it is difficult to increase your brand’s visibility online. More importantly, SEO helps improve user engagement, which, in turn, can help boosts your conversion rate. However, if you are not aware of the latest changes in the world of SEO, then you are bound to make mistakes. This could very well jeopardize your brand’s credibility, leading to a poor user experience. Thus, while it is important to know about the best SEO practices, it is equally important to be aware of the SEO mistakes to avoid. Must check out! "Reasons That Effect Your Improvement In SEO"
Stuffing your web pages and blog posts with targeted keywords, is the worst thing that you can do. This could lead to a high bounce rate on your website as well as lead to a penalty from Google. Thus, this is one mistake that you got to do away with. Instead, make use of LSI search terms if you have to improve the keyword density on your pages/posts. Another common SEO mistake, faster website speed is a must if you want to retain your customers and improve the site’s dwell time. Slow load time also leads to a high bounce rate and this could affect your site’s bottom line. Having a mobile-friendly website is mandatory. 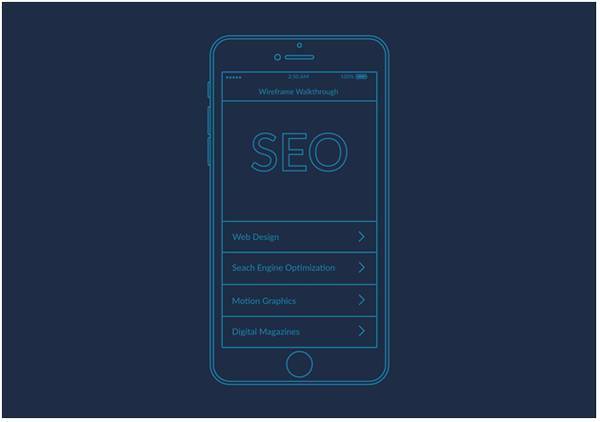 With a high percentage of users making use of mobile to browse for information and to shop online, not making your website responsive could lead to loss of potential traffic. Plus, it could affect your site’s ranking. Thus, this is another mistake that you need to rectify post-haste. Just like write high-quality content is important to boosts your site’s rankings, similarly updating your website’s older content is essential too. Older content is the gold mine that can drive traffic organically to your site once it is updated. So, make sure that you optimize your site’s older content by adding new links, removing redundant information, adding new keywords, updating meta tags etc. Did you know that you can get a good amount of traffic from image-based search engines like Google Images? That’s right! Thus, ensure that you add descriptive ALT text for all your images if you want to gain more traffic. These are the top 5 worst SEO mistakes to avoid. There are a few more that you need to rectify immediately and the below infographic can help you identify them. 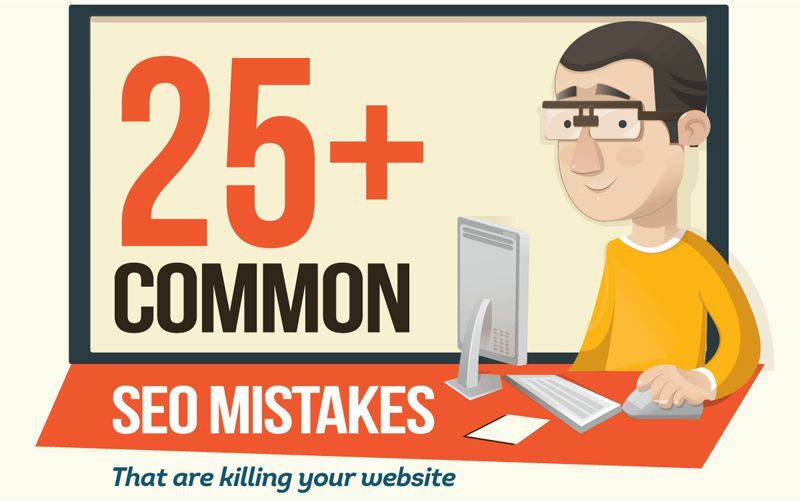 So, check it out now and for more information, read this guide that explains in detail how to fix common SEO mistakes. This Infograph is shared here after legal permission from Hosting Clues. Uber is transforming into a giant company. This is the reason different company provides Uber Script to Entrepreneur so that they can offer customers the best taxi booking script. To create an app like Uber Entrepreneur required features which make your app more accessible to people. It is very noteworthy to complete a superb hosting service. 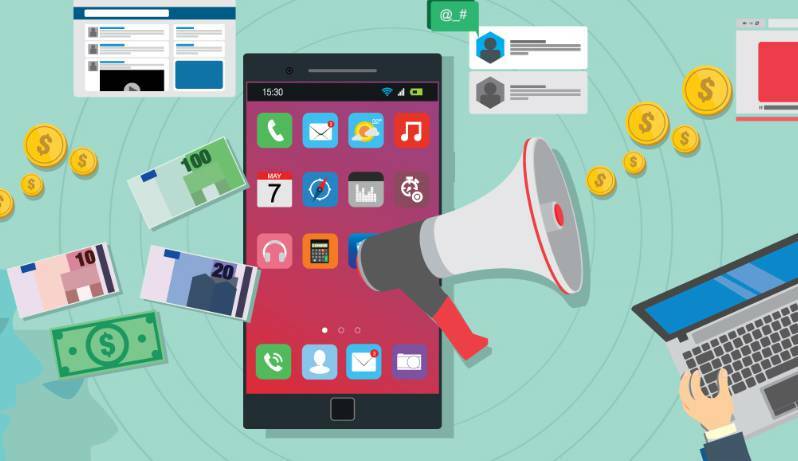 App hosting is as essential as making one, so it is crucial to have it legitimately. Allow it to be an iPhone application or an Android application, have it accurately without swaying a lot of money on it. When it is done, enrol your app on the stage you need. Its prosperity depends on both, determination of hosting service and picking an appropriate name for the domain. An entrepreneur must pick a system that licenses him legal strategies for customization. However, you may require a substitute arrangement of activity. As shown by the need for that arrangement of operation, the application should be changed. The coding content must be fit for including every one of the elements a business visionary needs into the application he makes. For the right working of an application, the content must be shaped by the correct arrangement of activity customers slant toward. An indispensable variable which chooses the quality of employment is the proportion of activities happen with the applications. You have picked a splendid hosting service and did everything to adjust the application set up, anyway if you disregard to assemble the pace of exercises happen in your app, the application will finish in a disappointment. Make your app conspicuous certainly. Every driver or traveler in the city should consider the working of your application. For ensuring this make an SEO perfect design, and consolidate each estimation of internet networking coordination into it. Visit gatherings or do email promoting, to the most extraordinary. Give the profiles of drivers and furthermore of the travelers in your application an opportunity to end up gigantic. In that way, you can grow the pace of exercises that happen in your app. Your app must fuse a lucidity in option for payment. AIS Uber Clone Script empowers online payment, and it limits with the guide of savvy card payment which is done online at the time driver drops the traveler to its dropping location. Site services take their reward and credit the due entirety in driver's wallet. All of these exercises require the sponsorship of exact payment modes. Hereafter the content should give the workplace too, to guarantee legitimate working of taxi booking apps. Adopt the most recent advances. All customers, these days are using smartphones, henceforth the advancement used as a piece of the application should coordinate the screen assurance, and working of gadgets used by the buyers. Certification that the content you use has every quality to fuse low down maps, course centers, and various distinctive necessities of the city going, also. With the help of Uber clone scripts, making taxi booking application for Android has never been significantly less requesting. Customers rating and furthermore the posting of contribution for each trek is incredibly crucial. It incorporates the validity of your application. 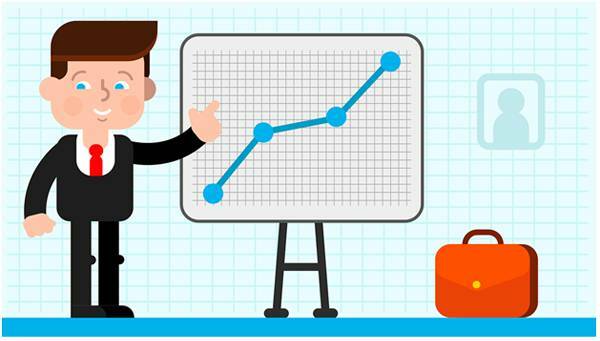 Research on Market: Any business, before to pushing a thing or an administration, needs to mull over the business segment, the restriction, the nature of existing administrations, improvement viewpoints and the chances of profit. At precisely that direction, it is urged to plunge into the business segment. In this way, execute a comprehensive contender examination. While it may be anything besides hard to enter the business segment with the accessibility of bleeding edge Uber clone scripts, your occupation, nevertheless, doesn't finish there. For accomplishment, publicizing and headway is central. Pull in an exhibiting methodology to develop brand care, brand headway. 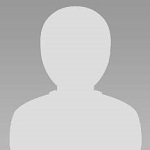 It is also essential that legitimate client administration is given scale-up the back-end base. Take contribution from the clients and explore the data as it would be shrewd. Fix your esteeming seriously with the objective that your translation of your opponents head-on. If your application is dispatched for clients in level 2 or dimension three urban territories, you may have a first mover advantage. If you intend to test the pioneers in the business segment in large metropolitan regions, evaluating reasonably is basic. Offers, for instance, beginning the free ride, etc. can be a particular advantage. Making such unequivocal strides will build open care, verbal introduction. As such, continuously yet tirelessly your application will observer a tricky climb in the client base diagram. Joining the most excellent elements for taxi booking application will genuinely satisfy. Since you can choose a mainly made Uber clone, features come inbuilt. In any case, if need be, you can request the development of a specific component that you require. Various payment entries must be open for explorers. It should be essential for travelers to pay their toll using their credit or platinum card. Besides, Wallet elective must be given in the application, with the objective that travelers can trade a particular sum of money into their wallet and can make payments using that. Right from booking a taxi on their applications, the accessibility of taxis contiguous, the helpful arriving of taxicabs, to the checkout procedure of explorers, everything should be smooth. Client experience can't be ignored as this can significantly influence your business. Take the most extreme thought concerning offering the best client experience. 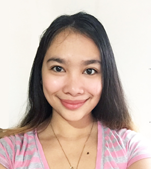 Code Wilson is a Marketing Manager at AIS Technolabs which is Web design and Development Company, helping global businesses to grow by Uber Clone App Services. I would love to share thoughts on Social Media Marketing Services and Game Design Development etc. The world is competitive and being generic will not bring you any success. So, how can you differentiate your brand from others? Don’t have any idea! Here check the best recommendations from the topmost entrepreneurs to use branding services and immediately enhance your brand. Things have changed and the present scenario is not the information age, but the social business era. Customers prefer transparency and this is what the businesses have to follow. You must use social channels to present the exclusivity of your brand, leadership style, and culture. It is because this is what the customers are looking for! For entrepreneurs, their personal brand is a vital part of their professional or business brand. It is because all of them run their business on the basis of their dreams, values, and goals. Hence, a way to highlight the uniqueness of your brand starts with you. Your personal brand, which is your leadership style, is reflected in your business and in members you select. All of this collectively creates the exclusive culture of your company, which becomes your brand. If your brand decision fails, then most probably it is because of bad leadership. It is because leadership and accountability go hand-in-hand. A leader is not only the embodiment of a business but its face to the public. If you are a good leader then this is a big advantage for your brand. From handling customer experience to branding campaign, successful PR, everything can be handled easily by a good leader. A brand is successful and can spread among others only if it is built from the inside. This means when your brand is built from the intrinsic value, which is what you think about yourself. But this is not it! You equally have to focus on the extrinsic value, which is your perception in the marketplace. Hence, your business is a reflection as well as an extension of yourself. If you add a little something on a regular basis to your brand, then it will definitely improve. 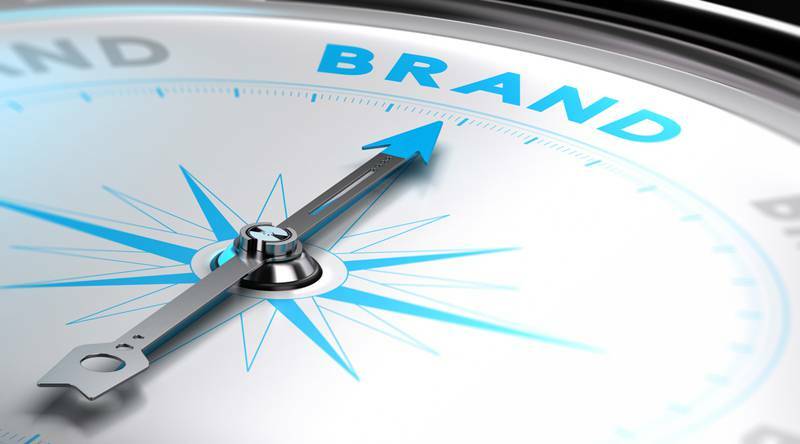 Branding is related a lot to amplifying your talent and trait to appeal to the marketplace. A large number of people practice an approach to change the outside, which is what makes them lose a sense of self or uniqueness. Therefore, rather than focusing just on the outside, it is best to focus on the internal aspects of your brand and start from within. One of the important intrinsic values that entrepreneurs must focus on one is their self-confidence. If an entrepreneur holds an unshakeable self-confident and surety about his brand then there is nothing that can stop his brand from being successful. Self-confidence comes from self-belief. Yes, it’s true that it is difficult to be different, but this is not impossible, and harder than this is to be authentic, particularly if you don’t believe in yourself. Talent is a mix of skill and passion. Every person is great in one thing or the other. When this talent is blended with authenticity and uniqueness, then a brand is built from inside-out. It is your passion that works as a fuel to do what you want to. Coupled it with confidence and conviction is the willingness to be authentic and different. Even if you are a little weird, it is best to be real. Embrace things that make your brand different and unique and things that make it truly yours. One major pitfall in branding is people pleasing or trying to please everyone. Most of the entrepreneurs believe that they have to serve everyone. If you will try pleasing everyone then you would be untrue to yourself. This way, you can never be authentic and unique. Hence, be your own person and even if you have enemies, still do what you want to. This means standing up for things that you want to practice. Finally, your brand can improve immediately if it is able to arouse emotion in people. Even if it is controversial, it must trigger an emotional response from your customers. If your brand is unable to generate emotion, then it would not be able to relate to the audiences. This way, it can never reach success levels, which other brands may reach. While you must practice these ways in order to enhance your brand, but make sure you do not cross the limit between your personal and company brand. Emotional intelligence and character are essential but don’t overdo it. Rather be courageous and smart, be unique. If still you have queries related to your business branding or you want to take your brand to the next level then contact us and hire our eminent branding services. 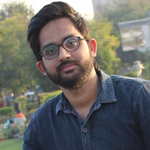 Hermit Chawla is a Marketing Manager at Sprak Design. He would love to share thoughts on Best Brand consultant, Lifestyle Design, Branding Firm, Exhibition design etc. Long gone are the days of putting up a website with a catchy name, buying a few ads and watching the traffic start to flood in. Today, search engine optimization is the most critical practice to engage in if you're serious about having a winning online business. But what if you don't have the expertise or time to spend on all the requirements that successful SEO requires? The answer is simple: it's time to start investing your capital with the best SEO services money can by. If you're still asking yourself why you need SEO experts to build out the success of your website, read on to learn more. Here are five reasons why you should start investing today. This is stated as simply as possible because the reality is, the truth of it can't be debated. SEO works. In today's online market, Google is processing over 3.5 billion (with a B) user searches every single day. With a volume as large as that, it can't be debated that ranking as highly as possible within the search results of Google provides you with an unprecedented opportunity to drive more qualified users to your site. As you well know, qualified traffic equals more leads, and more leads equal more sales -- which is why you're in business to begin with. By investing with SEO experts who know how to build and keep your Google search ratings as high as possible, you'll generate more leads and sales than you ever thought possible. Remember the days where buyers waited until they got home, fired up their desktop computers and then went to look at something interesting online? That's not the way the market works anymore. Mobile searches have now officially exceeded the number of desktop searches because more people than ever before are doing their research while on the go. This is a huge benefit for businesses. It means that you can catch them on the fly with something that interests them, and they can immediately click on over and do more research (or process a purchase). As one small example, say that a man is traveling on a business trip in your city and is walking around downtown trying to decide where to go for a quick cup of coffee. This man pulls out his mobile device, types "best coffee near" into the search bar and pulls up all possible results. If you run a small coffee shop, you immediately have the opportunity to rank highly in this search result -- potentially even higher than the big chains like Dunkin' Donuts or Starbucks -- if you've invested in the best SEO services. Just like that, your business has been found in real time, and a paying customer is at the door. Unless you're already an SEO expert, you probably won't know how to get your site outranking your competition. The best SEO services do. This reason alone is worth the investment. Think about the last time you set out to make an online purchase (or even an in-store purchase). What did you do first? For most everybody, the answer is do the research online. Most website users -- as much as 80% in reported studies -- instantly overlook any paid advertisements when they do their research and go straight to the organic results. What this means to you is that when a person is researching a service or product, they are likely to be "pre-sold" on what you offer if you have a high ranking in the organic results of a Google search. On top of that, if you rank highly your website will, by default, show a bunch of content that's relevant to the user. This will automatically help drive action and sales once the user has clicked through to view your site. When you have a high ranking it means that Google has found your site to be relevant to what the user searched for. This builds authority and trust for your business. It also gives users a positive view of your company before they even start reviewing your site. SEO is not a process that's ever done. The more you're willing and able to invest in it, the better it will consistently be. This is good for several reasons. Maybe your site is already performing well in search results. If so, that's wonderful! But there's a lot that needs to be done if you hope to stay there. With so much competition constantly trying to knock you off your pedestal, the race is never officially won. Your competition will invest whatever they can to overtake you. If you're asleep behind the wheel and resting on your laurels, it won't be hard for them to do. If, on the other hand, you're not currently ranking well, the best SEO services will give you an excellent chance to rise to the top. They can help you out-think and out-work your competition and bring their business directly to your doorstep. In the old days, buyers would learn about services and products through television, radio and print ads. They would also make on-the-fly purchase decisions in-store or look through phone book directories to find out what was available. While there are still some consumers who may shop this way, it's definitely not the norm any longer. Shopping and researching online is here for good, and it will only keep growing. This means that SEO will continue evolving so you need to always be a step ahead of the game. Now that it's obvious that your business needs to value SEO, it's time to do something about it. Don't wait another day. 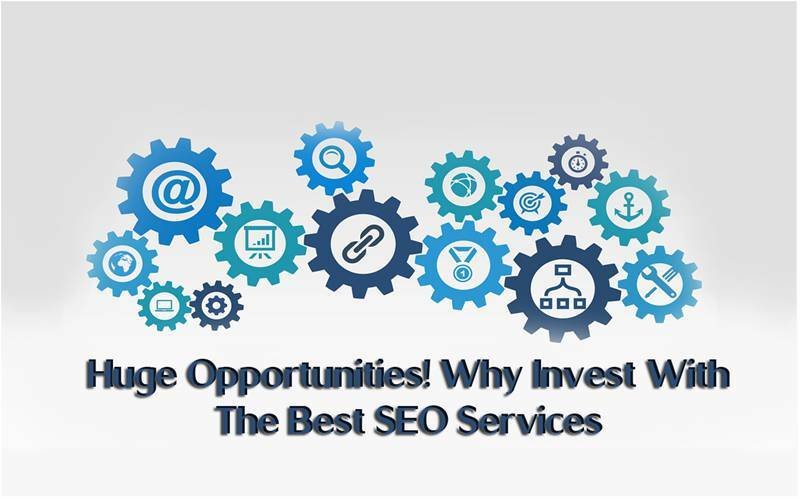 Invest with the best SEO services today. Marketing or Tech Team: Where Does SEO Belong To? Starting your career from scratch can be difficult. Especially when the task involves a lot of creative and innovative input. As an Android developer, one must have a command on Java Language. It is said that doing is the best way to learn something similarly, applying the knowledge and building upon the skills gives a better hand on the language. After the learning phase comes the application and execution part. There is no shortcut in the process of becoming a successful developer. All it takes is persistence and an originative bend of mind with a flavor of these tips to stand out in the market. A developer's primary focus is usually to learn and write better codes each day. But writing great programs don't attract customers as long it doesn't have a great design. Skills like UI/UX is one of the highest in-demand skill set among recruiters. Investing some time in learning about good design and user experience can be rewarding. Even the smallest things like a logo can be under consideration since people mostly judge the books by their cover. The look is subjective to the trends among a particular consumer profile. People turn their heads towards a well-executed design and a well-thought idea. Initial phases of any new career can be full of incentives and drive. But in every task, there comes an intermediate phase when quitting seem like the best possible option. Maybe the idea isn't rewarding enough, or innovation doesn't seem enough, or maybe a great idea is too great to be realistic. These low phases need some rational outlook and passion to kick-start and bring back the incentive. The first task might be risky without any commercial experience. Learning and overcoming this bottleneck can help a developer stay on his track. Languages like Java, SQL, and XML, are a few programming languages which help build upon the innovative ideas. These are the most prominent languages in the industry. But new programming languages keep on making their mark. These languages are the reflection of the newest trends, and sometimes, unexpectedly new ones end up becoming the trend. It is always advisable to keep oneself well-versed with these. Primarily focussing on Android doesn't mean one would never look towards iOS. Most of the times, iOS gets the premium version of apps much sooner than Android. Newer developers consider this and get inclined towards iOS since it pays off well. But it's noticeable that a great ratio of consumers is Android users. 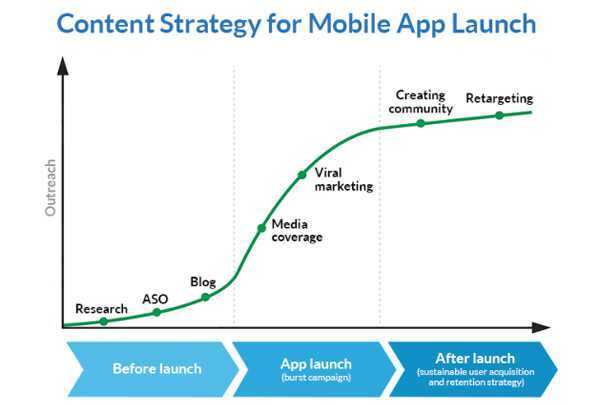 So rather than developing a single paid version of the app, it's better to understand the consumer, market. Making at least two versions of the app for each end of the market can be a wise idea. Beyond the operating system, a developer should consider a different range of devices too. When it comes to quality, never settle for less. It is difficult not being attached to your first project, but people should have a reason to use it. The market might be overflowing with similar interests and ideas, and to convince people to use one particular application, one needs to be their critique. This is one step beyond 'believe in your idea'. This is the 'build up' part where criticism can be the antidote for survival. To constantly grow, it's important to be a perfectionist and doing it little better than the other. One five-star rated app is more preferred over several two-star apps. As a developer, it would seem impractical to aim big right in the inception. Work of smaller components initially and then spread your arms for the bigger one. This is the best time to expand the team. Teaming up not only makes a task easier and quicker but also builds up an environment and a healthy workplace. Coming far from scratch, it's time to invest in newer things. A low-end work machine can be harmful to development. One the learning graph, there are many things new to a developer. It's good to track this learning phase every week and learn something new. This could be as simple as learning keyboard shortcuts; they make our lives much simpler. Shortcut keys improve the workflow by significantly reducing the development time in the progress. Another tip for making things quicker is to automate boring or repetitive tasks. Productive utilization of time can be a boost. An Android developer is known for its ideation and execution. 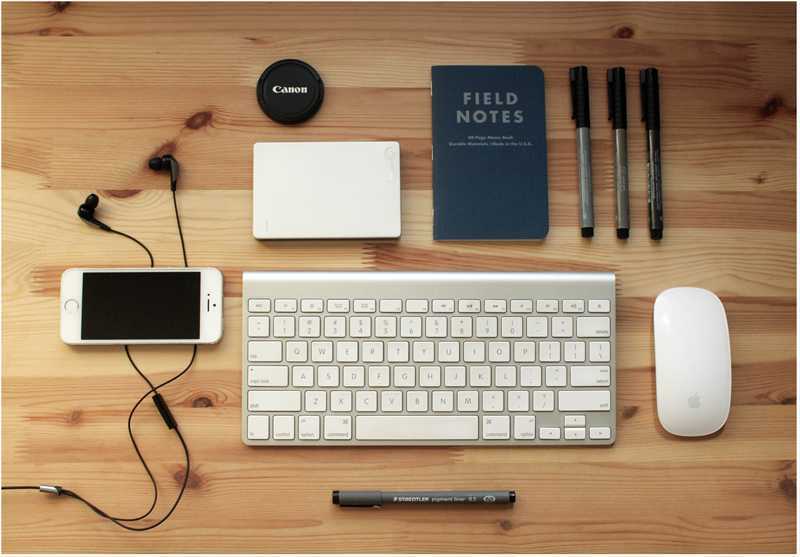 Executing these tips above are a few initial steps of becoming a great developer. The last tip would be to give everything it takes and never let the effort lack from your side. 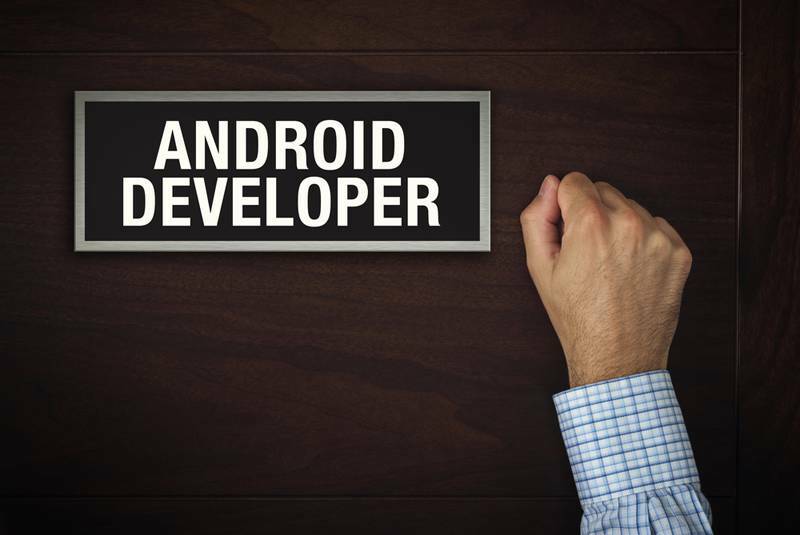 If you are looking Hire Android App Developer connect with us. Happy Developing! 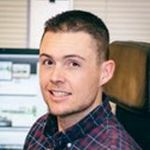 Denny Kelly is a Marketing Manager at AIS Technolabs which is Web design and Development Company, helping global businesses to grow. I would love to share thoughts on ruby on rails web developer and Game Design Development etc. While Princeton, NJ is famous for the prestigious ivy league college that shares its name, the town is more than its renowned college. It is a place with a thriving downtown area, restaurants you’ll want to return to, historical sites, and upscale shops. Set between New York and Philadelphia, there’s plenty to see and do in the area. If you’re traveling to Princeton for business, consider investing in a few gadgets to make going there easier and more comfortable. If you don’t travel enough to remember your luggage lock combination or just hate carrying extra keys, then invest in an Airbolt. You operate it with your smartphone. With an Airbolt, you can secure your luggage while still being able to open it when needed. The gadget also lets you set an alarm that will alert you if your luggage moves too far away. This provides an added layer of protection. If you lose your bag, then you can track it with GPS. Don’t worry if you lose your smartphone. In this case, you can use another device to open the lock. There are a variety of hotels in Princeton New Jersey. To select one, use a handy hotel booking app like Hotel Tonight. With an app, you may be able to unlock deals and compare prices more easily. It can even make checking in quicker. A great hotel recommendation is the Hyatt Regency Princeton. Located near Route 1, the Hyatt makes exploring the area easy. One of the best gadgets for your business trip to Princeton is the Grid-It organizer. Offering places for your smartphone, keys, passport, sunglasses, credit cards and more, the Grid-It will help you keep cords untangled and prevent home and car keys from sinking down to the bottom of your bag. Everything you need for a business trip will have a storage area, decreasing the stress of traveling. If you’re worried about safety while traveling, then consider getting a portable travel lock kit. It will prevent unwanted key entries into your hotel room. With two security elements designed to work with different entry doors and a “security biscuit” for even more protection that secures doors with large gaps, you’ll feel more comfortable traveling with the kit. You won’t need tools for installation. All you have to do is insert the bracket into the door’s latch pocket while turning the knob. Equipped with a 420-watt motor and offering three different heating options, the tiny travel steam iron will keep you looking freshly pressed for those important meetings. The iron is compact. In fact, it’s as small as a computer mouse, so you won’t have to worry about it taking up too much space. Be sure to download a dining review app like Yelp or Zagat to find the best places to eat when you’re traveling to Princeton for business. Either app will direct you to a local favorite like the Small World Coffee shop. Serving amazing coffee that is sure to perk you up before you head to the office, this coffee shop is located on Witherspoon Street. For lunch, consider eating at the Marhaba Middle Eastern Restaurant. It serves Egyptian dishes that feature Tunisian and Moroccan touches. When it’s time for dinner, your app will likely recommend the Agricola Eatery. With menu items like braised short ribs, scallops, and pumpkin pot de crème, the Eatery will fill you up with tasty cuisine. These days, it can be a major headache when your smartphone’s battery runs out of power. Avoid this by getting the Iron Man Phone Charger. Since you may use your phone to check onto airplanes and find your destination, the last thing you need is for your phone to die. This charger works with most smartphones as well as with other USB-compatible equipment. It also comes with two USB ports for added convenience. Use the Musement App to find local points of interest. While in Princeton, the app is likely to recommend that you visit Palmer Square. Located in the middle of the downtown center, the square features charming shops, offices and the historic Nassau Inn. The app will also direct you to the Princeton Battlefield Park. This was the place where George Washington and his army defeated the British in 1777. You may also be interested in The Bainbridge House. It is where the Historical Society of Princeton is located. It offers information about local history and is a place where you can learn about the area’s first settlers. If you tend to feel a little queasy when you’re flying, then purchase the Reliefband. The device uses technology that stimulates a nerve in your body that sends a relief signal to your stomach and your brain. It works to relieve nausea by managing your body’s natural gastric rhythms. You wear the device like a wristwatch. Modern day gadgets and apps are designed to make life easier whether it’s a handy way to download your airline ticket or a travel steamer that takes the wrinkles out of your clothes. If you travel a lot, these gadgets are worth the investment. As a standalone web page created for a specific marketing campaign, a landing page is a tried & tested method that helps capture leads and drive conversion. The two popular types of landing pages are click-through landing pages and lead capture landing pages. While the former provides detailed information about a product or a service before leading the visitors to your website, the latter is built specially to gather personal information about a visitor such as; name, phone number, and email. However, no matter what the purpose of a landing page is, if it is not well-optimized it won’t drive any conversion. Depending on the campaign, the design or the purpose of your landing page may not be similar, but there are a few key elements that are the core of a high-converting landing page. Thus, if you are in the process of building a landing page for SEO or social media marketing campaign, then here is an infographic that has listed the key factors that must be a part of your landing page. But, before we take a look at the infographic, here are a few landing page key components that you can’t ignore. A landing page needs to be well-structured and clutter-free so as to facilitate easy navigation. Use contrasting colors, but don’t go overboard with the design and keep it as simple as possible to make an impact. The landing page headline and content are the other two factors you need to get right. An interesting headline would capture the users’ attention at first glance. Similarly, writing quality content is important. For a landing page, the content needs to be straightforward and precise. This will keep your visitors engage and will effectively reduce the bounce rate. Visual content also helps improve user engagement. Here, the simple trick is to use relevant, personalized images rather than stock images to boosts brand credibility. The best way to build trust among users is to display social proof/social engagement numbers on your landing page. This will show the visitors how many people have already purchased your product or made use of your service and found it useful. This, in turn, will help boosts conversion. Your landing page lead capture form needs to be short and simple to avoid a higher bounce rate. Do away with unnecessary form fields and just keep those that are relevant. These were some of the key factors of a landing page. Like them, there are a few more which you can check out below. Plus, for more information, you can check out the complete how to build a perfect landing page guide here. 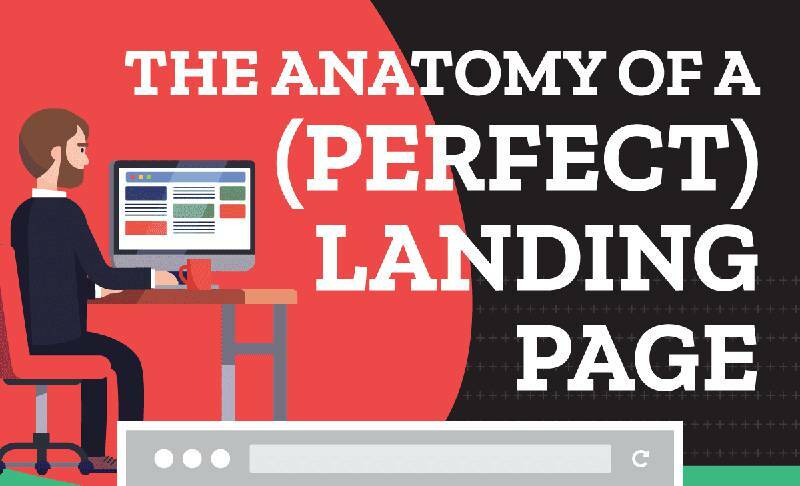 The Anatomy Of A (Perfect) Landing Page [Infographic] by the team at LeadForest. Ewritingservice.com will take care of every possible writing task. Check freelance writing opportunities and work at your own tempo. Essay Writers are the best paper writers in the field.